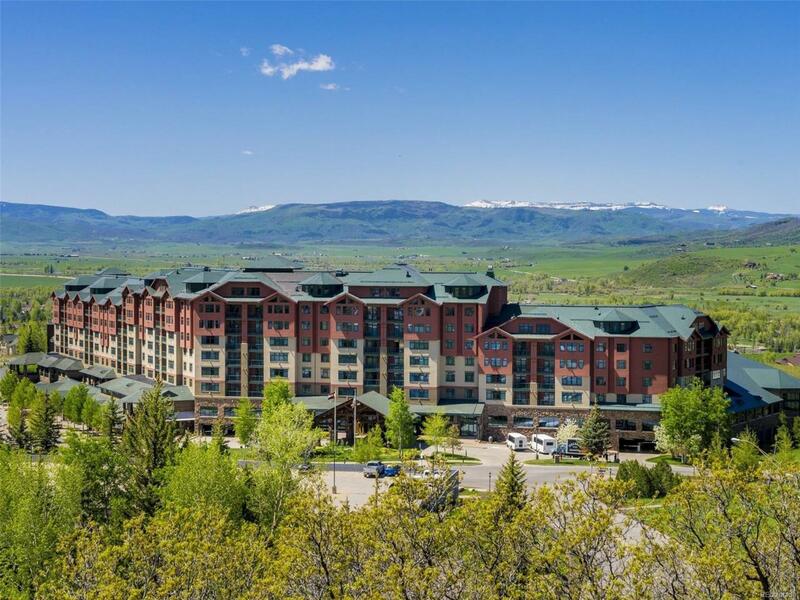 Fractional ownership at its finest at the Steamboat Grand. Enjoy an easy walk across the street in order to hit the slopes or take in mountain festivities or dining. Unit 503/504 is a large Olympian floor plan with vaulted ceilings and a loft. 2 master suites with fireplaces and large jetted tubs, one on the main and one on the upper level. 3rd bedroom is an extra large lock-off with 2 queens for additional rental potential. This unit enjoys Sleeping Giant and Howelsen Hill views and the Ski Area can be seen from the 3rd bedroom. Owners benefit from all the amenities year round including use of the fitness facilities, pool, parking, owners lounges (1 at the base), spa, valet, concierge, service, and discounts. Too many perks to list. RCI exchange is available along with options to stay at the hotel on a space available basis -restrictions apply. Don't miss out on this great opportunity. This share is Calendar 8.